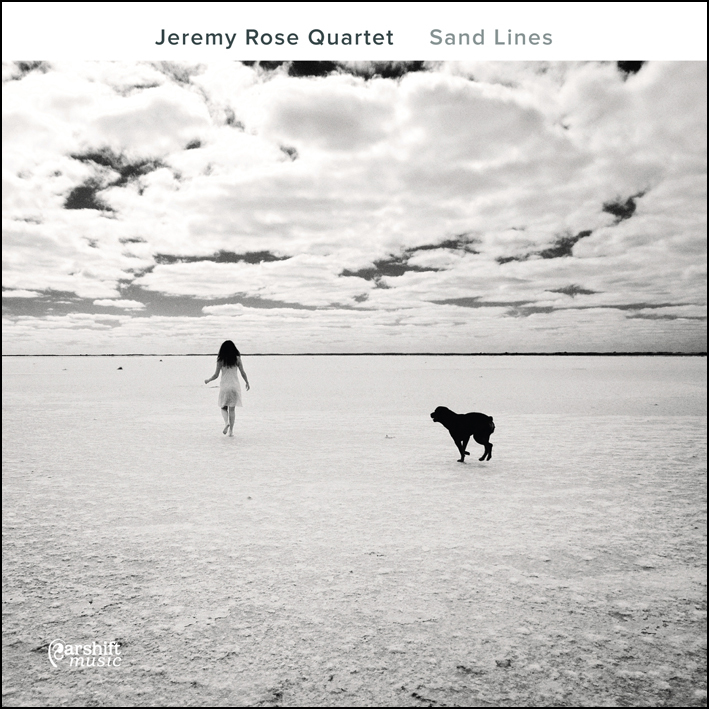 His latest – with his Quartet – is ‘Sand Lines‘. It is a delight to hear Rose back in the arms of (almost) straight-ahead Jazz – an added delight is to hear him rocking so sweet and heavy in those arms. Opener, the title track ‘Sand Lines’, has Rose’s silvery soprano leading over a staggered ensemble section until the band climbs into a swing section; Rose’s solo breaks into a grin that won’t stop. His soprano tone and playing has the gift that Wayne Shorter has – the ‘eastern’ nasal inflection, a joy of Trane’s sound, is replaced by a roundness and warmth, with those big-throated, round notes opening the tone at just the right points. ‘Mind Over Matter’ is Rose’s tribute to the dear and sadly departed David Ades, his mentor, mate and fellow surf-dog. The piece dances in a joyful place, rising and falling as if buoyed by surf currents, summoning Ade’s bright life-lust in primary colours. Harrison’s solo here is particularly sharp; rhythmic play with melodic curves curving around each other in new shapes. For more information visit Earshift Music.